The first test developed on the Idylla platform will be a liquid biopsy test for breast cancer. London-based medical research charity MRC Technology (MRCT) and Belgian molecular diagnostic developer Biocartis Group announced a partnership that will see the two entities work to develop a range of diagnostic tests on the Biocartis Idylla platform. The first project will be a new liquid biopsy test for the monitoring of breast cancer patients for resistance to hormone therapy. 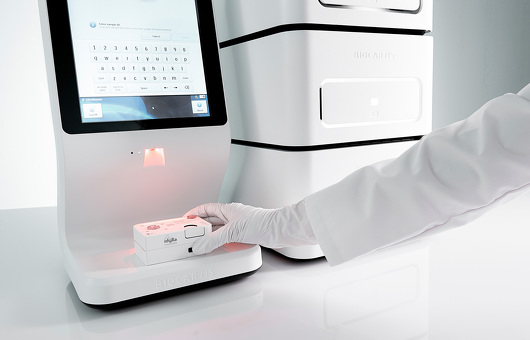 Under the agreement, the financial terms of which were not disclosed, the two companies will co-develop molecular diagnostic tests on the automated PCR-based Idylla platform, with MRCT acting as a development contractor while Biocartis will handle the commercialization of any developed tests. According to Biocartis, the initial focus on developing a liquid biopsy test for breast cancer fits well with its continued development of a portfolio of tests for breast cancer. Currently, the company has three RUO liquid biopsy tests for sets of actionable mutations in melanoma and colorectal cancer. For MRCT, the partnership with Biocartis furthers its commitment to funding the development of promising biotech and pharma technologies and potential therapies. To date, the charity, which generates its revenue via royalties from its co-development activities, has helped nearly 20 start-up companies and aided in the development and launch of a variety of approved drugs including Humira and Keytruda.